Enter the world of Gilverado, a kingdom plagued by hideous monsters and tortured souls. Choose from four angels with unique demonic familiars and battle against a storm of enemies pouring out of Hell/'/s gates! Fight your way out of tight spots as you are surrounded by enemy units and bullets from both sides of the screen. The unique left and right..
A shrewd ninja named NIN-JA stands up to rescue Princess SAKURA who was kidnapped by the evil ninja named NAMAKURA. Be the greatest ninja master in the world in Adventure Mode by flying freely with jump and chain action to clear all 50 stages while following the scenario, and in Score Attack Mode by keeping on attacking enemies appearing one after ..
Xbox 360 exclusive title Akai Katana Shin released in Japan on May 26th, 2011. REGION LOCKED..
Akai Katana combines the spirit of adventure offered through a true side-scrolling experience with the adrenaline-filled gameplay of today/'/s bullet hell genre. Players are tasked with restoring peace and order to the world they once knew while taking on a tyrannical empire of bloodshed. The Games on Demand version supports English. 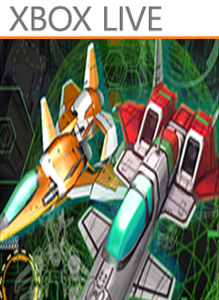 [b]..
[b]Mushihime-sama HD[/b] is a shooter developed by Cave and released by Taito in 2004. The game features Novice, Arrange and Xbox 360 modes. Arrange is a modified version of the PS2 Arrange mode. No Arcade mode is included, only the Xbox 360 mode which is identical to the arcade release bar HD visuals. First print copies will include Versio..
Espgaluda II Black Label (Espgaluda 2)..
DoDonPachi Maximum is the first Japanese-developed mobile Xbox Live game. Dodge and destroy your way through 15 unique stages routes that branch according to your skill. Accurate touch controls guide your ship with ease. Touch the screen with two fingers to activate the all-powerful ""Laser Bomb"" and clear the screen of e.. 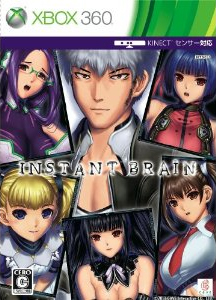 Instant Brain Japan Import (NTSC/J)..
Muchi Muchi Pork! & Pink Sweets (Region Free Version) [NTSC]..
Mushihimesama Futari Ver 1.5 [Japan Import]..
STAR WARS Jedi: Fallen Order (@EAStarWars) is now available for digital pre-order and pre-download on Xbox One. Pre-order the Deluxe Edition to receive all of the unique pre-order bonus JEDI: Fallen O..
Kodi Era: Facts and Stats..